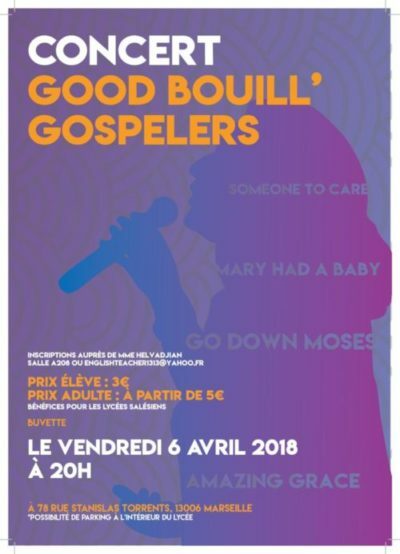 En partenariat avec les professeurs d’anglais et les professeurs d’industries graphiques, les classes de 1ères RPIP, Terminales RPIP , 1ères BMA , Terminales AMA sont heureux de vous annoncer la venue de la chorale «Good Bouill’ Gospelers» pour un concert de Gospel exceptionnel. Ce concert aura lieu le Vendredi 6 Avril à 20h dans la salle Don Bosco . 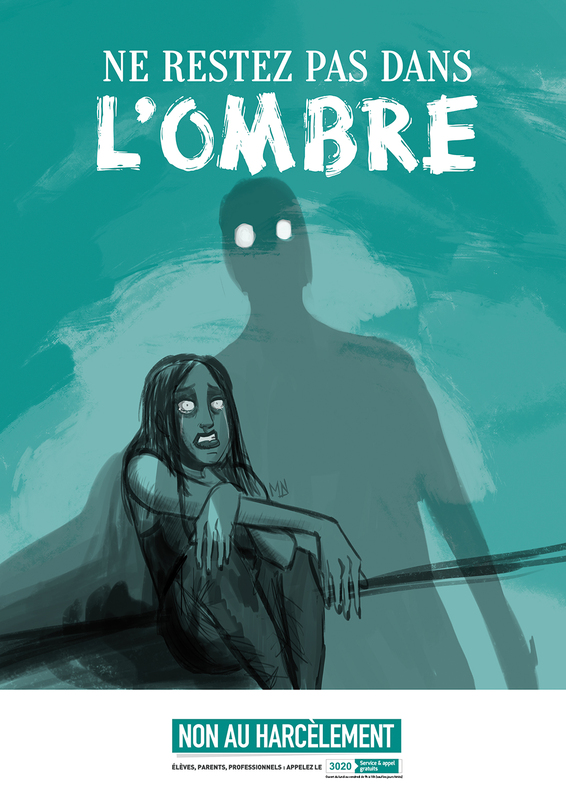 Pour que cette soirée soit une réussite pour nos élèves, venez nombreux ! 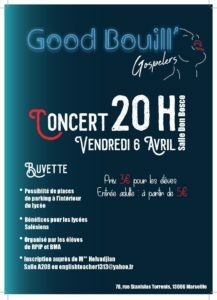 The band « Good Bouill’ Gospelers » is pleased to announce that there will be a concert on the april 6th in the high school of Don Bosco in Marseille. The concert will start at 8pm and the admission charge are 5€ per adults and 3€ per students. Come with your friends or your family ! The gospel rooted by the slaves. This is one of the most beautiful expressions. 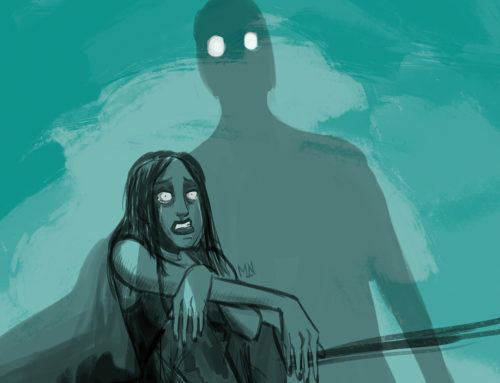 They were forbidden to read, write and speak but they were permitted to sing. Songs expressed dreams, faith, love, pain unimagineable loss, fear. Gospel conveyed information : in a coded langage. Songs of liberation : not for the body but for the souls. It became the music of black church. Glen Campbell, Whitney Houston, Edwin Hawkins, Daryl Coley, Aretha Franklin, Nat King Cole, Ray Charles. 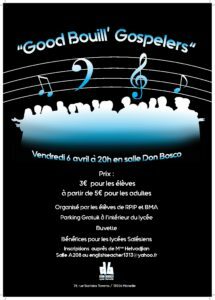 On Friday April 6th, we will be glad to receive the « Good Bouill’ Gospelers » at Don Bosco school. The concert will take place in Don Bosco room at 8:00 pm. It will cost only 3€ for students and children and 5€ for adults. About the Gospel songs : it was born during the slavery period. Only black people sang those song, it was like « a coded langage ». Gospel was an inspiration for many others type of music, such as Country, Motown, Jazz, Blues. Gospel is actually the translation of “evangelical”, that’s why it is sung in Catholic churches. A main character of Gospel : Thomas Andrew Dorsey was known as “the father of gospel music”. Best known titles : Oh Happy Day, Precious Lord, Peace in The valley, The Hymn of Joy. Touche Inès / Motroni Jessica, 1 BMA.